"a beautiful spectacle with a predictable storyline, enhanced by an endearing performance from Salazar"
Looks like Black Panther started a new trend last year with blockbuster season beginning early again; this time with Robert Rodriguez' Alita: Battle Angel. Based on the original manga series by Yukito Kishiro, with the screenplay written by James Cameron and Laeta Kalogridis which tells the story of a young cyborg (Rosa Salazar) found in a scrap yard. With the help of her repairman and mentor Dr Ido (Christoph Waltz) and soon-to-be boyfriend Hugo (Keean Johnson) Alita sets out on a journey of discovery – who she was, who she is and who she wants to be - through a magnificently detailed world that will never be the same. The film lives off Salazar's endearing performance as Alita. 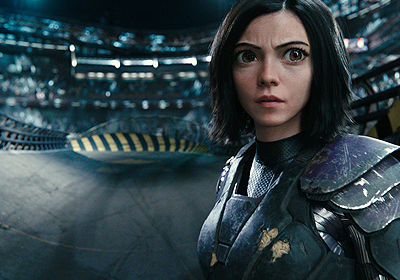 She perfectly embodies Alita's naïveté, curiosity and excitement, with Alita's big eyes enhancing that aspect of her personality. She is adorable as she discovers different foods and other sensations and is equally captivating and convincing in her fight sequences. Rounding out the cast are Christoph Waltz as Dr Ido, Mahershala Ali as Vector, Jennifer Connelly as Dr Chiren, Ed Skrein as Zapan and several other people you will recognise. It's a cameo game of sorts, not too distracting (with the exception of the last two appearances in the film), so reading the credits might be fun to check your results of 'spot the celebrity'. That last cameo really took me out of the film which was a shame given it is right at the very end and that unpleasant taste stuck with me for a bit while the credits rolled. There is so much going on in Alita: Battle Angel that they could have made a series of films, or at least the now popular trilogy treatment. Unfortunately the film never dives under the surface, peeling back some of the layers. We are merely treated to a few hints and glimpses of what could have been, but it feels as if Rodriguez decided to go the Hollywood blockbuster, and not the layered, intelligent sci-fi route. A real shame as the film's premise would have easily sustained a more complex approach especially given the theme of identity and existential crisis. Instead we get clumsily written exposition pieces, none of the “show, don't tell” school of film making. It is thanks to Salazar that these overlong pieces aren't dumping the film into tedium territory and once the first action sequence hits your eyeballs you know that exposition is just a precursor for yet more mind blowing action spectacles, so you won't mind as much. Gotta eat the veggies if you wanna get dessert. And trust me, this dessert is yummy! Alita: Battle Angel looks magnificent. I watched this in IMAX 3D and I wouldn't want to see it any other way. The image is sharp and detailed, the effects are flawless. Even in the fastest and busiest action sequence the audience knows exactly what is going on. That is no small feat as especially group brawls can turn into eye sores and coma inducing flurries, especially in 3D; none of that here. Despite the film's 12A rating some viewers might find it more violent than expected. We see people maimed and torn apart. Most of these people are made of cyborg parts, which cushions the impact a bit. Nonetheless some viewer discretion might be advisable. Overall I thoroughly enjoyed Alita: Battle Angel thanks to its premise (I'm a sucker for anything sci-fi) and engaging lead. 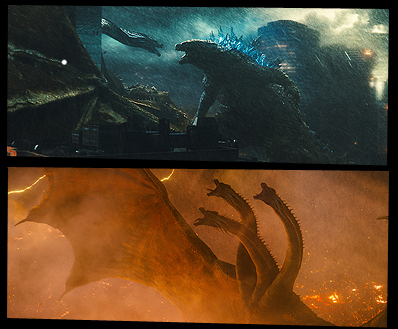 The breathtaking cinematography, the world's sense of wonder and the amazing action sequences blew my mind. Even sequences I consider filler were entertaining and great to look at. I wish the film's predictable plot could have been turned into a more complex narrative, more fitting to its genre and source material. With a running time of just over two hours the film has a lot of fat that could have been trimmed, making way for more character, world and plot development. But all of its padding is too glorious to cut so I can't really fault Rodriguez; OK, I really didn't need that love story. There is plenty more to show and tell and I am counting on a sequel. Maybe I did call it (trilogy!) earlier? Alita: Battle Angel is a beautiful spectacle with a predictable storyline, enhanced by an endearing performance from Salazar as Alita, Get through slightly tedious exposition, stay for the intriguing world & kickass action. A must see in IMAX 3D!